During CEDIA we focus on interfacing with installers anyway that we can. We typically host CEDIA certified training on industry topics such as installation techniques, industry trends, and new products. One of the primary features of CEDIA for Channel Vision is to network with our dealers and industry partners, as well as showcase our new products on the trade show floor. This year Channel Vision is showing 21 new products including the debut of our Elite Series Product Line. CEDIA is an important show for Channel Vision because it offers us the ability to talk with more of our customers face-to-face. We use this opportunity to showcase our new product, communicate with our industry partners, and get feedback from our installers so that we can design new products that suite their unique needs and demands. CEDIA is also important to us as a manufacture because it provides us with a platform to communicate our value added services such as 24/7 technical support, our builder advantage program, and our Elite Series product line. Channel Vision focuses on the entire custom channel by offering intelligent entertainment, infrastructure and security products. We have products that are designed to help the production installer that does volume projects, as well as the home theater specialist. We are launching our new Elite series product line this year which offers installers top tier products. These new products are designed exclusively for the custom installer offering no online sales, extended warranties and direct integration with home automation companies such as Control 4, Savant, and Crestron just to name a few. This new product line will have limited distribution and will also be available in the Control 4 marketplace making it easier for our installers to purchase products and remain profitable. As a manufacturer committed to the customer integrator, CEDIA is our most important show. We also participate in ISC West, BICSI, as well as regional shows with our distribution partners. CEDIA does a good job of offering training assistance to the dealers. CEDIA could do a better job of helping educate the public of the importance of selecting CEDIA certified installers to do their installations. Helping keep the industry informed about changing laws, regulations, and consumer trends would also be helpful. This year Channel Vision will debut our new ELITE series product line, marking an important date in our 21 year history. The Elite Series product line will include the unveiling of our new intercom, along with 9 new IP camera models, and a new line of surveillance DVRS that will interface directly with home automation systems. The new Elite Series product line offers a host of benefits for the custom installer including no online sales, the doubling of our standard warranty, limited distribution, over the counter exchanges, and certified integration with industry leading home automation companies. What are the primary features of CEDIA that you focus on (i.e. Show floor, training, seminars)? We value the networking opportunities we have with new and existing dealers on the show floor; however, networking doesn’t end there. We enjoy meeting new people at the local eateries and after-show events while in town for CEDIA. CEDIA is an important show to connect with dealers that are not afraid of integration. It allows us the opportunity to introduce automation dealers to a flexible, expandable system that combines security and automation into one control to provide a customized solution to meet the needs of their customers. We look forward to meeting installers and integrators at CEDIA. With new products, giveaways and demonstrations, we hope attendees will be attracted to what we have to offer and learn more about ELK Products. You can see ELK at ISC West, ESX, CEDIA, ISC East and other regional tradeshows. CEDIA is ranked in the Top 2. This year at CEDIA you can check out our full line of our Two-Way Wireless products that work with our M1 Security and Automation Control. We have introduced our new Sound-All Smoke Detector and Glass Break earlier this year, and in the Fall our new Recessed Door Contact will be out on the market. We are also excited to introduce to you new integration partners at CEDIA that now work with the M1 to provide, lighting, access control, energy management, audio and more! We have a thorough understanding of the security and integrated control market as several of our principal designers are long time industry veterans who exercise their continued involvement in the trade. The market for our products and solutions is changing rapidly and we are in step with features like remote control and data transfer of our solutions through the internet and smartphones. Our strength is providing a simple to use system that delivers full-featured and personalized integrated solution sets in the areas of security, lighting, audio, environmental control and many more! The primary feature of CEDIA that we focus on is the show floor. We have a great booth featuring all new and current Monitor Audio products, as well as various demos so dealers and reps from all over can see our products in action. Being one of the biggest and most populated shows of the year, we are always excited to attend CEDIA and demonstrate our latest products to as many people as possible. We want to continue to make Monitor Audio one of the most well-known brands in the loudspeaker industry, and CEDIA is one of the best ways we can do that. Our primary focus is our current dealers as well as any potential new dealers. We strive to showcase our Monitor Audio products in the best way possible so dealers can see first hand the quality, diversity, and power of the Monitor Audio range. This is why we build a large, attractive booth that's open, inviting, and full of demos that our dealers can see and hear with ease, excitement and enjoyment. Our company does attend many other tradeshows throughout the year but CEDIA is definitely one of the biggest and most important shows that we attend. In general, we are happy with the show's attendance, but there are dealers that do not come to the show for various reasons. If there was a way for Cedia to offer 'first time discounts' to dealers who have not been to Cedia or discounts to dealers who have not been in 5 years, I think it would be a great way to grow attendance and build the membership. A win win! Monitor Audio will be introducing a couple of new products. First, we have a new line of Soundbars we are eager to show off, the Monitor Audio SB-2 and SB-3. These soundbars are built to the high quality standards of Monitor Audio, while the cabinets are built smaller and thinner to blend and fit nicely under a TV. 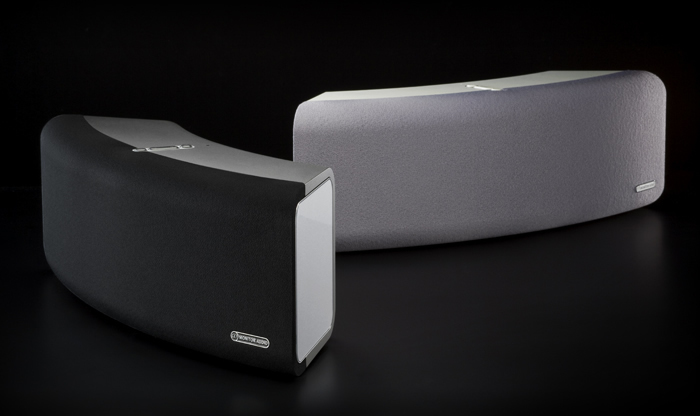 Our second new product is an all new Airstream speaker system, the Airstream S200. This is a standalone, wireless speaker system, similar to our S300 that we introduced last year. This new system is built smaller than the S300, which makes it easier to fit in smaller spaces and blend with any decor.